Editor’s Note: This article was originally posted on the Native Hope site. It’s not every day that you get to share your story with one of the world’s most powerful organizations and add your voice to the global conversation. 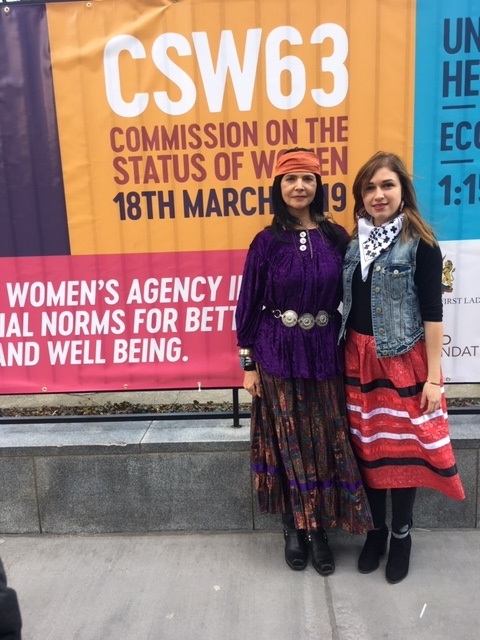 On March 12th, 2019, Alexis Estes Woksape Ole Winyan (Seeks Knowledge) of the Lower Brule Sioux Tribe, a member of the Native Hope team, was able to contribute her voice at the 63rd annual session of the United Nations Commission on the Status of Women (UNCSW) alongside Carmen Baraka and Shiloh Sophia of Intentional Creativity. The topic of the presentation? The healing power of art and storytelling in the context of intergenerational trauma. Here’s how this incredible event came together. Alexis Estes Woksape Ole Winyan (Seeks Knowledge) is a member of the Lower Brule Sioux Tribe, which is part of the Oceti Sakowin that includes the Lakota, Nakota and Dakota people. Alexis attended the Institute for American Indian Arts in Santa Fe, New Mexico and graduated with a B.A. in Indigenous Liberal Studies and a minor in Studio Arts. She encountered Native Hope last year and became involved in our mission of healing through storytelling. Alexis was a natural fit for the Native Hope team, bringing her love of art and her passion and knowledge about the history of indigenous people to her work as a community builder and a social media advocate through the Native Hope platform. Alexis facepainting and chatting with Native children preparing for a local powwow in Chamberlain, SD. Since joining the team, Alexis has used her gifts to serve the community, tribe, and indigenous people everywhere. She has represented the indigenous perspective in task force meetings about human trafficking, run mural painting activities and workshops that use Native symbolism to create public art, run in the Dakota 38 Memorial Relay, and spends her time working with the rest of the Native Hope team to advance the goal of sharing stories and encouraging healing for all Native Americans. It was a mutual supporter, Marilyn M., who introduced Intentional Creativity to Native Hope. 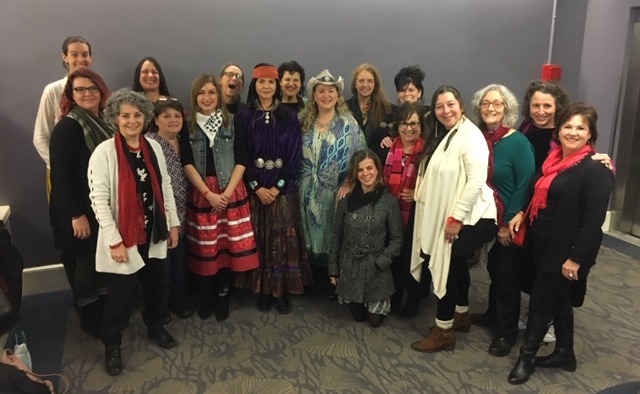 Marilyn noticed the similar goals of the two organizations, including the capacity for healing that storytelling brings. It is our supporters, people like Marilyn, that are helping create these powerful alliances to spread a message of healing! The presentation was sponsored and hosted by the Intentional Creativity Foundation, an organization whose vision is to make creativity accessible and to educate about the importance of creativity in the development of the human being. Alexis joined Carmen Baraka and Shiloh Sophia of the Intentional Creativity Guild in order to address the relationship between healing and art. “We don’t think art is something just for those who are gifted or creative, but is a way for all beings to access their own stories, ideas, beliefs and healing pathways,” says Shiloh Sophia, one of the Founders of the Intentional Creativity Foundation. In her presentation, Alexis shared her story of reclaiming her cultural identity as a Lakota woman and overcoming intergenerational trauma. Her creative practices of mural painting, screen-printing, and yoga allowed her to find her voice during her search for identity, and she shared about how creative practices may help heal others. 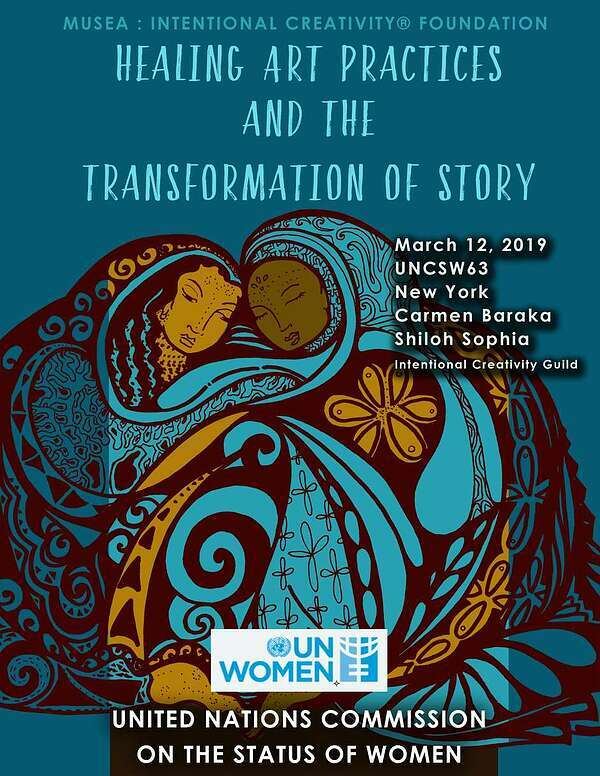 We are grateful for Alexis’ strong voice and story and grateful that she had the opportunity to share her story in a major public forum like the UNCSW. 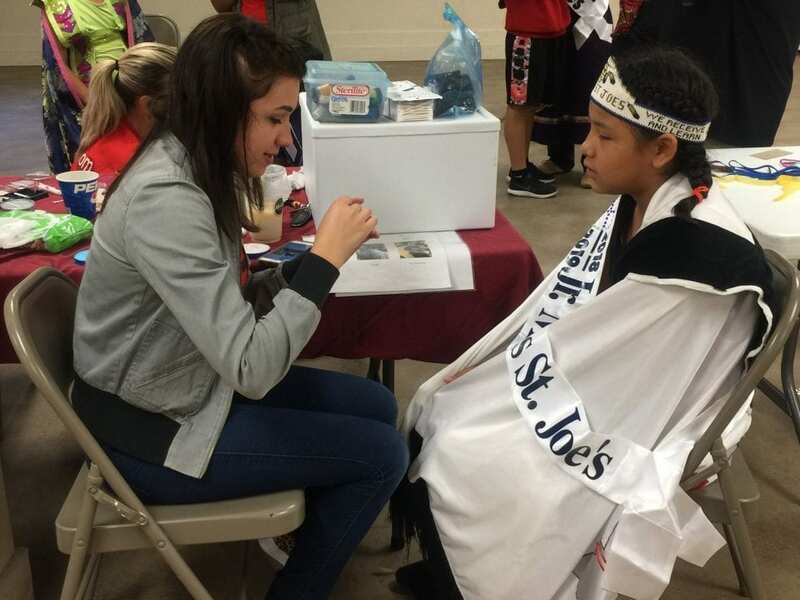 In a day when many Native American youth are faced with overcoming intergenerational trauma and the trauma of addiction, abuse, poverty, or discrimination, it is important to spread stories and methods of healing. We’ve shared other stories of young Native artists like Jatonne and Dennis who are using art and story and music to process their story and come to terms with what it means to be a Native American in today’s world. When one person rises up and speaks out their journey of healing, they offer a helping hand to those who are behind them on the journey or just beginning. We all have a duty and an opportunity to believe there is hope and to speak the hope that is in our hearts into the world.